Handling criminal defense cases with an aggressive approach, our team at The Law Offices of Perry B. DeLoach, Jr., in Greenville, South Carolina, advocates for clients in the surrounding areas of Spartanburg, Anderson, Pickens, Mauldin, Simpson and Easley. A former prosecutor, our founder, Mr. DeLoach, oversaw hundreds of cases. He uses his experience on the other side of the courtroom in his practice today, where he represents clients in litigation and settlement agreements. At our law offices, we also handle personal injury and other civil litigation matters. Whatever the details of the case may be, we thoroughly investigate every claim ourselves to uncover evidence and testimony that supports our client’s position. Born and raised here in South Carolina, Mr. DeLoach understands the challenges our clients face when up against a legal situation. He remains sensitive to their needs as he constructs a legal strategy that suits their interests. For his accomplishments, Mr. DeLoach has been listed in The National Trial Lawyers: Top 100. 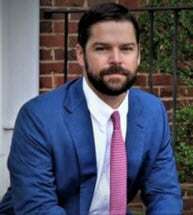 He is a member of the South Carolina Bar, the Greenville Association of Criminal Defense Lawyers and the South Carolina Association for Justice. To best accommodate our clients, The Law Offices of Perry B. DeLoach, Jr., offers free initial consultations and accepts credit cards.